Children obtain protection against certain diseases by receiving vaccinations, but they commonly miss recommended times to receive these immunizations. Once a child falls behind, health care professionals typically have to construct a unique, personalized catch-up schedule for each child – often while the child waits in the treatment room. A new online tool takes the guesswork out of developing individualized catch-up immunization schedules by allowing parents and health care providers to easily create a schedule that ensures missed vaccines and future vaccines are administered according to approved guidelines. The online catch-up immunization scheduling tool, which was developed by the Georgia Institute of Technology and the Centers for Disease Control and Prevention (CDC), is available at https://www.vacscheduler.org/. Since the new tool launched in January 2012, the site has recorded nearly 63,000 visits, 22 percent of them repeat visitors. Nearly half of the visitors identified themselves as health care providers. The new online tool replaced a downloadable software program that was released by Georgia Tech and the CDC in 2008. The original software was designed by Professor Pinar Keskinocak and former graduate student Faramroze Engineer from the Georgia Tech Stewart School of Industrial and Systems Engineering. Researchers in the Georgia Tech Research Institute (GTRI) converted the software program into the new online tool and adapted it to show different views tailored for parents and health care professionals. The online tool removes the challenging task of simultaneously considering complex rules, guidelines and discretionary considerations when creating a catch-up schedule. 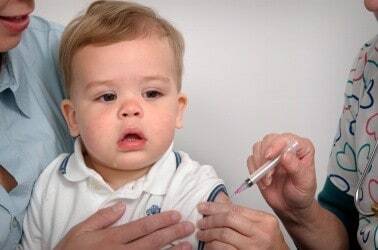 A physician or caregiver simply inputs a child’s date of birth and previous immunization dates, and selects whether to administer the vaccines as soon as possible or to administer the vaccines when recommended. Then the program displays a personalized schedule of the recommended dates to administer all future vaccines, which can be saved to the user’s computer. Vaccines included in the scheduler are those required between birth and six years of age: Hepatitis A and B, Rotavirus, Diphtheria/Tetanus/Pertussis, Haemophilus influenzae type b, Pneumococcal, Polio, Measles/Mumps/Rubella, Varicella (Chickenpox). The scheduler follows the guidelines developed and revised each year by ACIP in collaboration with the American Academy of Pediatrics and the American Academy of Family Physicians. These guidelines include the feasible number, timing and spacing of doses of each vaccine based on the child’s age, the number of doses and the age at which each dose was administered. In addition, each dose of each vaccine has a minimum, maximum and recommended age for administration, and there are minimum and recommended gaps between doses. These gaps as well as future administrations of a particular vaccine may vary depending on the age of the child and the age at which previous doses were administered. If a child requires more than one live vaccine to be administered, there are two options: administer all live vaccines on the same day or wait 28 days between live vaccine injections. There also may be discretionary considerations such as limiting the number of simultaneous administrations a child receives or the number of visits required to complete the series for all vaccines. GTRI researchers converted the downloadable program into software that could run online. While doing so, they added the capability to show slightly different information depending on whether the visitor was a health care professional or a parent. As part of the redesign for online operation, the researchers also separated the information that are likely to be changed and housed it in a database that would be easier to update as recommendations change. Housing the rules in a database could also allow the system to be used in other countries where vaccination schedules differ from those of the United States. For the future, the GTRI team is creating a version that combines child and adolescent schedules to allow it to serve persons up to 18 years of age. A version designed for mobile devices is also under development. In addition to Isbell, GTRI researchers Scott Appling, Therese Boston, Josh Cothran, Moon Kim and Arya Irani also contributed to the software conversion project, which was supported by GTRI’s Independent Research and Development program. Beyond advising on vaccination schedules, the tool may also encourage interactions between parents and physicians. “By using the scheduler, parents will enhance their knowledge of vaccines and the diseases they prevent, and receive assistance in formulating questions that can be discussed with their child’s physicians and nurses, resulting in more productive interactions,” said Pickering, who is also a professor of pediatrics at Emory University School of Medicine.